The antioxidants in tea might help protect against a boatload of cancers, including breast, colon, colorectal, skin, lung, esophagus, stomach, small intestine, pancreas, liver, ovarian,prostate and oral cancers. 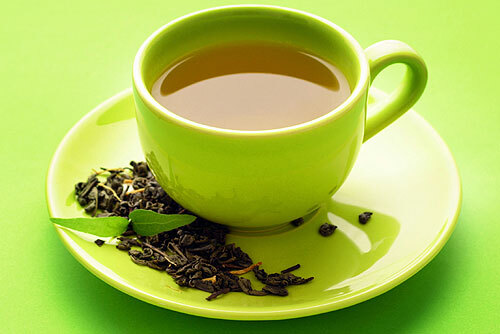 But don’t rely solely on tea to keep a healthy body — tea is not a miracle cure, after all. While more studies than not suggest that tea has cancer-fighting benefits, the current research is mixed. Tea can help the body recover from radiation. One study found that tea helped protect against cellular degeneration upon exposure to radiation, while another found that tea can help skin bounce back post exposure. The studies seem convincing, but a rat does not a human make. Chemicals in tea may react differently in the lab than they do in the human body. Tannins (and the other good stuff in green tea) may not be bio available for humans, meaning tea might not always benefit human health to the same degree as in lab studies suggest.